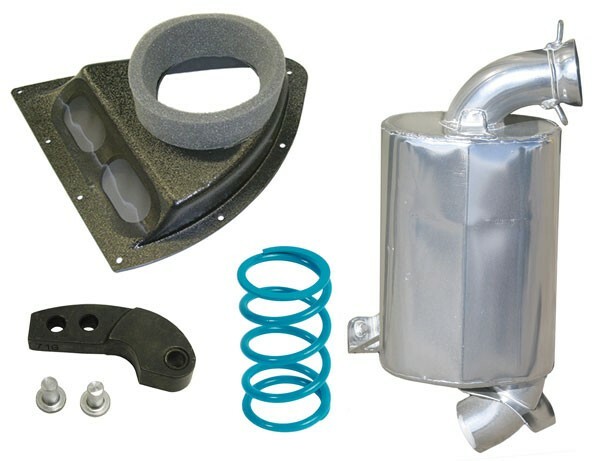 This package features an SLP Lightweight Silencer that reduces weight by 13 1/2 lbs and features ERA 2007 Silencing Technology. For optimum airflow and performance it also includes a High Flow™ Intake Kit. At elevations above 6000', this package also comes with an SLP PowerShift™ Clutch Kit for much smoother shifting and excellent performance. Not compatible with SLP Single Pipe.